Talking TIFs and old Chicago Politics with Ben Joravsky @joravben. 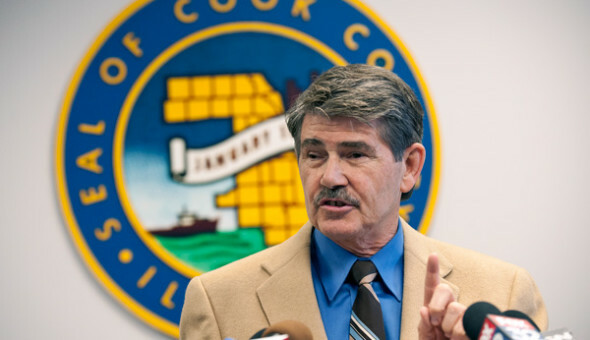 In honor of his 35th year as an elected official, Cook County clerk David Orr did what he does best: he irritated the hell out of a powerful mayor. In this case, the mayor was Rahm Emanuel, though in the past it’s been Jane Byrne or Richard M. Daley. Orr irked the mayor and his aides by daring to propose a reform to tax increment financing—that nearly $500 million-a-year slush fund that mayors love even more than I love the Bulls. Speaking of which, is it too much to ask that some Bull, any Bull, guard the Wizards’ Nene once in awhile? Please? To understand the context of Orr’s latest TIF proposal, you have to go back to 1979, when the clerk began his political career. That was during the administration of Mayor Michael Bilandic, who had been ushered into office by City Council powerhouses Ed Burke and Ed Vrdolyak. The white aldermen were determined to keep an African-American, Wilson Frost, from being selected to fill the vacancy created when Mayor Richard J. Daley died in office. Just another example of the way our city often embraces racial harmony. 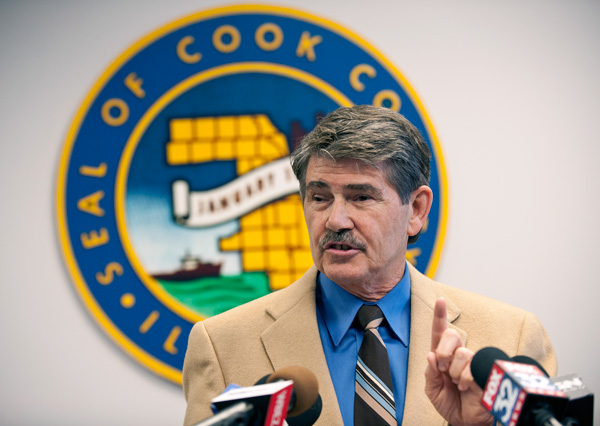 At the time, Orr was a 35-year-old history professor at Mundelein College who decided to lead the independent charge against the 49th Ward Democratic Organization, headed by Neil Hartigan, the former lieutenant governor. The incumbent alderman was stepping down, so Hartigan decided to slate a Loyola University psychology professor named Homer Johnson to run against Orr. Apparently, Hartigan wanted to prove that the machine had eggheads too. Which was a particularly ironic argument to make at that time, given the utter failure of the Bilandic administration to remove the snow from Chicago’s streets. Thus Rogers Park voters were left with a choice: thugs or slow garbage collection. Orr won by 700 votes. Take a bow, Rogers Park. At the same time, Byrne upset Bilandic to take control of city government. Or so it seemed. Orr says he remembers walking through City Hall a short time later with Marty Oberman, another independent north-side alderman. “We walked by Vrdolyak, who looked at us and smiled. It was like he read our minds. He said, ‘Forget about it. '” In other words, Burke and Vrdolyak, a step ahead of the game as always, had already cut their deal with Byrne—much as Burke would cut his deal with Mayor Emanuel in 2011, thus holding on to his coveted chairmanship of the council finance committee. As they always say about Chicago, the more things change—well, you know what they say. There was brief moment of democracy in 1983 when—hallelujah!—voters got it together and elected Harold Washington as their mayor. Washington’s election ushered in four years of council wars, when we had something of a race-based system of checks and balances, with the majority bloc of white aldermen keeping close tabs on how Washington divvied up the pie. If only they were so vigilant with white mayors. Washington selected Orr to serve as vice mayor, a largely symbolic City Council position except in the tragic event of the mayor dying in office. And that’s unfortunately what happened on November 25, 1987, when Washington succumbed to a massive heart attack and Orr abruptly became the acting mayor for seven days. Cook County clerk David Orr is essentially asking that the mayor open the books. Hop over to the Chicago Reader for the full article.